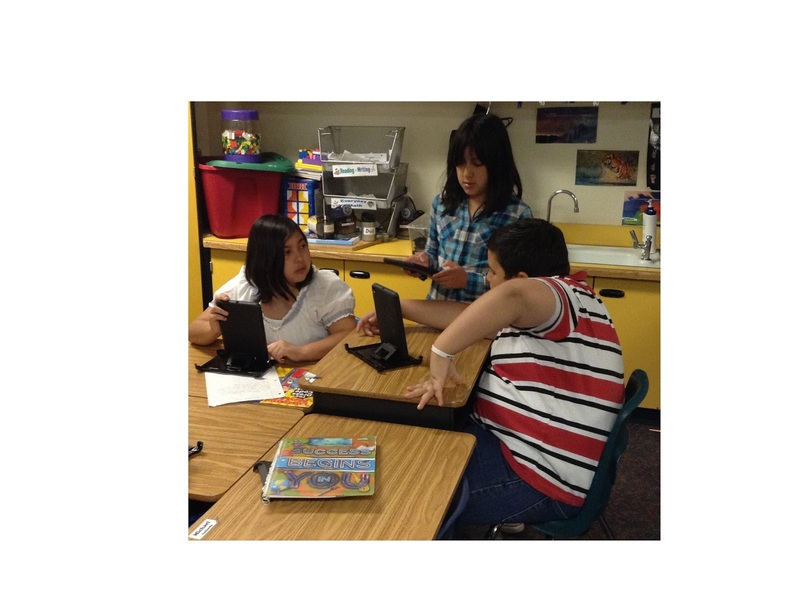 Reflections from a 4th grade teacher on integrating technology in an 1:1 iPad Mini pilot classroom. I never thought that a single app could teach my students so much before What's that Word? 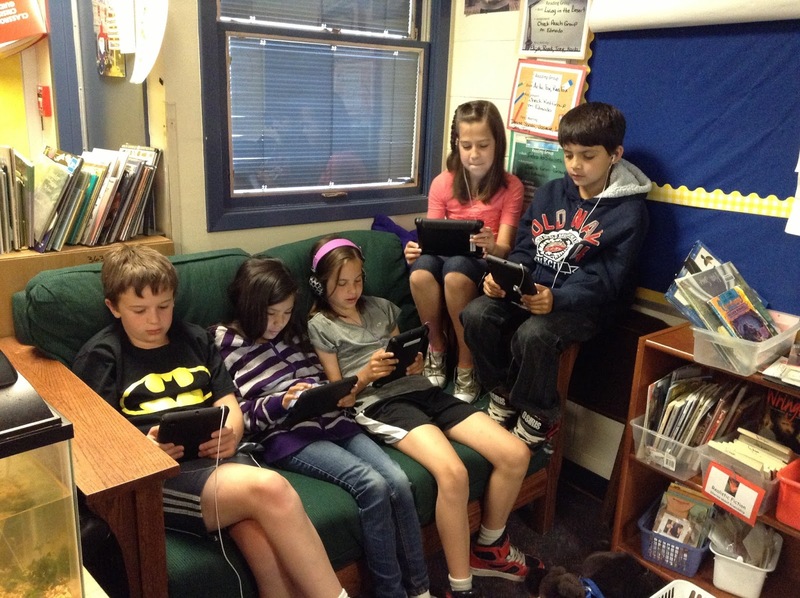 by Itch Mania became the app of choice in my classroom. What's that Word? app is very similar to 4 Pics 1 Word in that it shows four pictures, blank spaces for letters, several letters in random order and several levels to choose from. What's that Word is better for students than 4 Pics 1 Word because students can select a new/different puzzle if they get stuck. In May, I installed the What's that Word? app on the student iPads. It was not an app that I thought much about and didn't even mention it to the students. My thinking was that perhaps a few of the kids would enjoy the word game. The first week or two after the installation the app was hardly, if at all, used. Then I noticed a new stir in the room. During explore time in the mornings, students were talking and sharing as they worked on their iPads. What was different was that the talk was about words...vocabulary in particular. This definitely peaked my interest. What were the students working on? Suddenly, whenever students were given explore time all they wanted to play was What's that Word? This app became a sensation in my room. 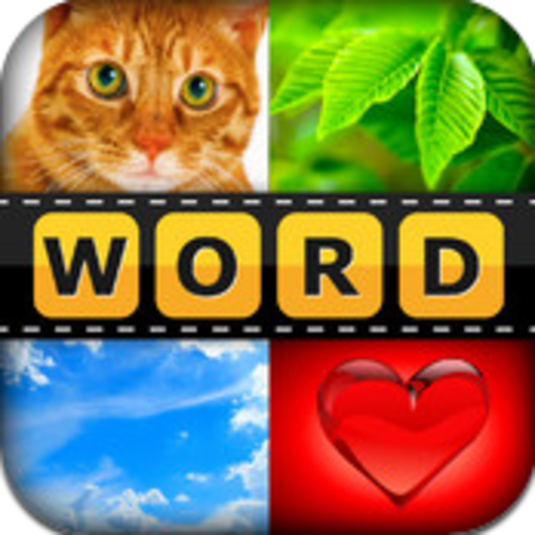 Every student in the room was using this app and they were working together to solve the vocabulary/picture connections. As a teacher, I was in awe that this one app was so engaging. Then of course, as a teacher, I began to listen to how students were helping each other and noticed that most of the time an answer was just given. Can you think of another word for what is in the picture(s)? What is the theme of the pictures? Another word for _____ is. It begins with the letter _____ (used as a last resort). Coaching is a difficult skill to learn as a fourth grader (and an adult). This app was a great tool for building coaching skills and vocabulary. My students became quite good at coaching each other and continued to enjoy What's That Word for the remainder of the school year. 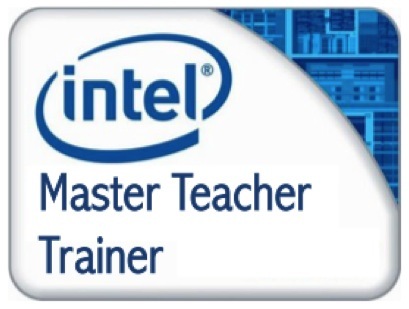 ISTE 2013: Is This Your First ISTE?